If you are planning to launch a startup or looking at expanding your business, finding potential investors could actually prove to be a daunting task. Most business entrepreneurs will have various stories to tell about the hardships faced by them, when scouring for a potential fund raiser for their coveted projects. The technological revolution has made matters simpler however. The World Wide Web has truly converted the global to the local, and the communicating has become ridiculously simple. Although the internet has revolutionized the business scenario in majorly positive ways, there are pitfalls too. When the global goes local, you need to fight it out with the entire world, for the most prized and easy going investments. You need to encounter cut-throat competition and come up with innovative ways to cut the clutter and emerge as an indifferent and lucrative business opportunity which would attract the right kind of investors. Communicating in the right way is the key, and you need to make the most of the resources at your disposal. Since the advent of the internet, email campaigns have emerged as a popular publicity and marketing tool. Email campaigns especially come in handy when you have a huge target audience and your campaign requires the distribution of some very pertinent information, on the basis of which the investors will be exhibiting their interest. There are various ways in which you can maximize the impacts of your email campaigns, by paying attention to subtle nuances. Whether an email campaign generates lots of interest or simply goes unnoticed, depends largely on you. You need to take full advantage of the opportunity and try to strike a cord with the first attempt itself. The first thing to consider while structuring your email campaign is the subject line. Remember, your subject line is what your investor will see first. There would be multiple mails in his mailbox and your email campaign will be just another mail for him. If your subject line says something as basic as “investment opportunity” or “business proposal” or “investment plan”; chances are that your mail would not be read at all. The subject line should have something which will urge the investor to explore your email thoroughly. Therefore, whether your email campaign propagates the message adequately, depends on your subject line. Ideally, the subject line should at least have your company name and some startling fact that could draw the investor’s attention. It is always essential for email campaigns to incorporate personalized touches. Email campaigns generated from the marketing department can never have as much impact as a personal communication. Although inclusions of formal documents like your individual bio data and the company’s balance sheet should be incorporated, you need to add a personal note as a part of the email, which should also act as an introduction. A small introductory passage about who you are and what your project is all about, will surely lend a lot of clarity to your email campaign and will inspire an investor to delve into the depths of your proposal and at least consider your proposal as a possible investment option. It is always better to provide some recognition to the targeted investor, while structuring your email campaigns. This will require you to know your target segment well. Try to analyze and zero in on the specific target you should be aiming at through your email campaigns. The segment of investors you choose will depend on the type and magnitude of requirement you have. Once you have done the investor profiling activity well, you could add some specific touches in your address which will carry a customized feel. This will make the prospective investor feel that he has been targeted specifically, through the email campaign. It is always better to use images and graphics as a part of email campaigns. Email campaigns which are about words, words and only words, could actually be quite boring and tedious, to say the least. Therefore you must include images or pictorial representations where necessary. Sometimes investors may refer to only the images for a fair idea of the business proposal. They may not have the time to read through each and every proposal, at the outset. However, take care not to overload your email with pictorial attachments. You must always be a responsible email user and not occupy too much of the available space of the investor’s mailbox. Ideally, there should be just one or two graphic attachments for him peruse. Too many of them can actually confuse him. 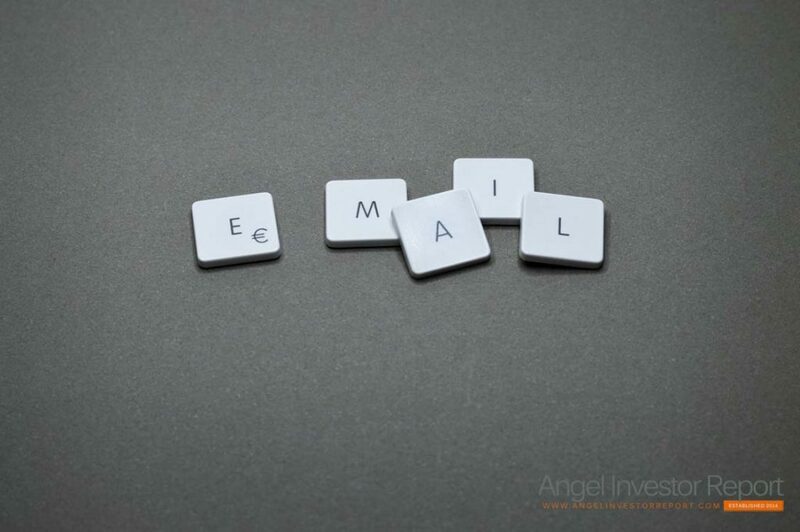 Remember that the purpose of an email campaign is to establish a two way communication with your investor. You don’t want your investor to lose interest in your project because he can’t find ways of getting back to you for any clarifications or expressing his interest in the project. Therefore, email campaigns should always have your signature at the end of the email message, along with all possible contact information that you might be possessing. You should provide your email id, telephone number, Skype account details, any other instant messenger Id that you might be using, etc. Ideally, you should just be a click away so that potential investor can contact you with instant ease. Suitable email campaigns should be able to strike a follow up communication thread. After all, you would like to hear from your prospective investors, as soon as possible. Don’t leave a vague conclusion to your email campaign. Have a firm and defined link which will automatically lead to the next meeting and potential finalization of things. Put a date for the next meeting, or conference that you might have scheduled for potential investors who would be interested in your project. The venue, timings, and related things should always be chalked out earlier and mentioned clearly in your email campaign. Email campaigns can be truly effective for tracking down potential investors, if executed properly. Every aspect of the campaign should be looked into in great detail and the campaign must be designed with great precision. Make the most of your campaign and ensure maximum response through your email campaign.